MANILA - Typhoon Ompong (International name Mangkhut) slammed into the northern Philippines on Saturday with violent winds and torrential rains, as authorities warned millions in its path of potentially heavy destruction. The massive storm, which forecasters have called the strongest typhoon this year, blew in windows, hurled debris and knocked out power lines when it made landfall in the pre-dawn darkness near Baggao, Cagayan. 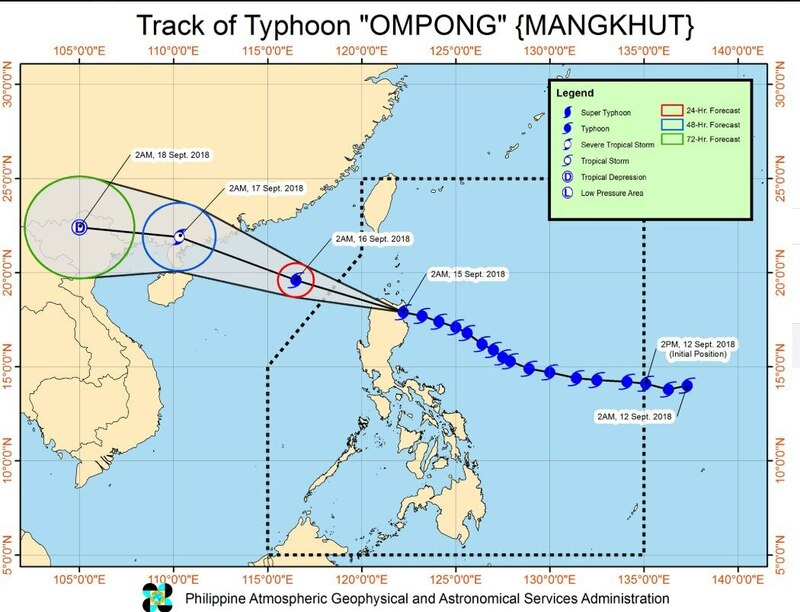 Currently packing 200 kilometers per hour (kph) winds and gusts of up to 330 kph, it headed west at a speed of 35 kph towards the provinces of Apayao and Ilocos Norte. "As much as possible, stay indoors," Chris Perez, a PAGASA forecaster warned. Around four million people are in the path of the storm. Authorities hiked the storm alert on Friday to its second highest level in northern Luzon provinces and mobilised rescue teams. 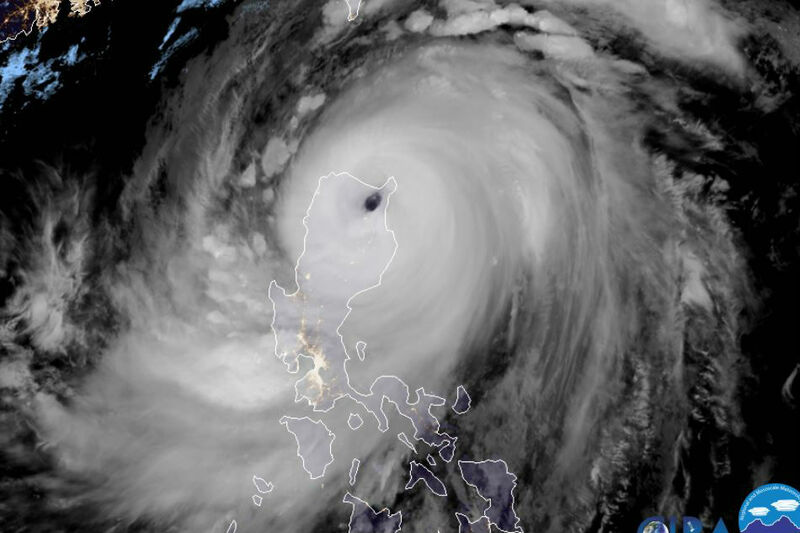 The elevated warning level carried risks of "very heavy" damage to communities hit by the typhoon and a storm surge that was forecast to hit six meters in some areas, the weather service said. The storm is not forecast to directly hit Hong Kong, though it will feel Mangkhut's wind and rain through Sunday.